In this narrative essay, a third-grader tells of fun in the snow. One day it snowed like crazy, so school was cancelled. I had Amy over to play, and we decided to go sledding. We started to slide down the hill and race each other to the bottom. One time we decided to go down together. Amy sat in the front seat, and I sat in the back. We started to go down the hill, but then CRASH! We ran into a bush! Amy went flying, and I got my feet caught in the bush! Amy looked like a spider caught in its own spider web. I had a lot of fun that day, and I will never forget it! The Sled Run by Thoughtful Learning is licensed under a Creative Commons Attribution-NonCommercial-ShareAlike 4.0 International License. 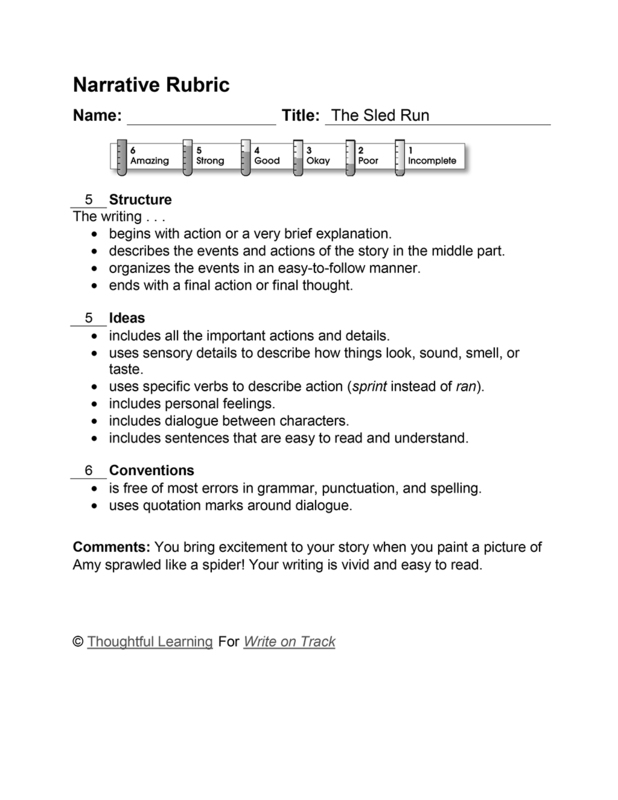 Based on a work at k12.thoughtfullearning.com/assessmentmodels/sled-run.